You can create a dating site not only based on location or fetishes or skin color and etc. But also different preferences like alcohol, tobacco, food and etc. Give us a call if you want to create a unique dating site! Now donning better and friendlier website features, NondrinkersDating.com offers visitors ease in user experiences, while providing membership terms with the best perks. Non Drinkers Dating currently keeps a membership base consisting mostly of individuals from the United States, Canada, United Kingdom and Australia who are into nondrinkers dating. 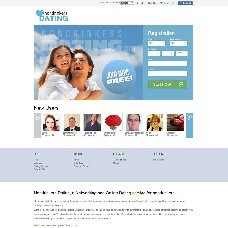 As the website seeks to expand its reach, it also welcomes people from around the world who are into non-alcoholic dating.